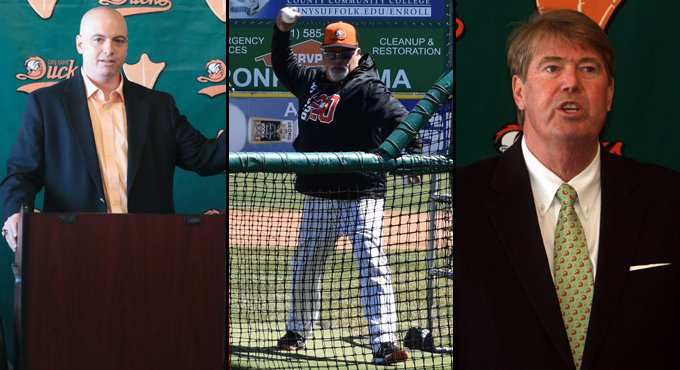 The Long Island Ducks spend the off-season doing many things pertaining to the setup for another great season of Ducks baseball. One of the things the club enjoys most is visiting with groups and organizations of all sizes, sharing experiences with the team and relaying stories about how everyone can get involved with Long Island’s hometown team. The Ducks would be happy to attend your organization's next meeting and discuss a wide range of topics from player personnel, to the upcoming season, to the business of minor league baseball and the Ducks organization. There is no charge for having a member of the Ducks speak to your group or organization. The Ducks have an extremely knowledgeable and engaging staff including our CEO, President/General Manager, front office staff and Field Manager. CLICK HERE to e-mail us and set up a time for us to speak at your next function.